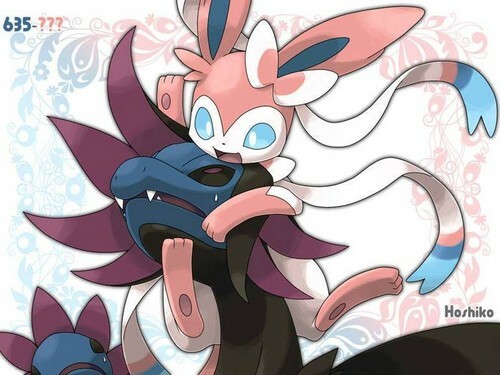 Hydreigon vs Sylveon. . HD Wallpaper and background images in the Pokémon club tagged: pokémon hydreigon sylveon. Aww, cute pic! I love it! Good job! Go Sylveon!